This is exactly what I was looking for, as I am thinking of switching back Form Sublime to Gedit. Thanks a lot! But the bracket matching doesn’t clearly visible when the bracket match at same line.. 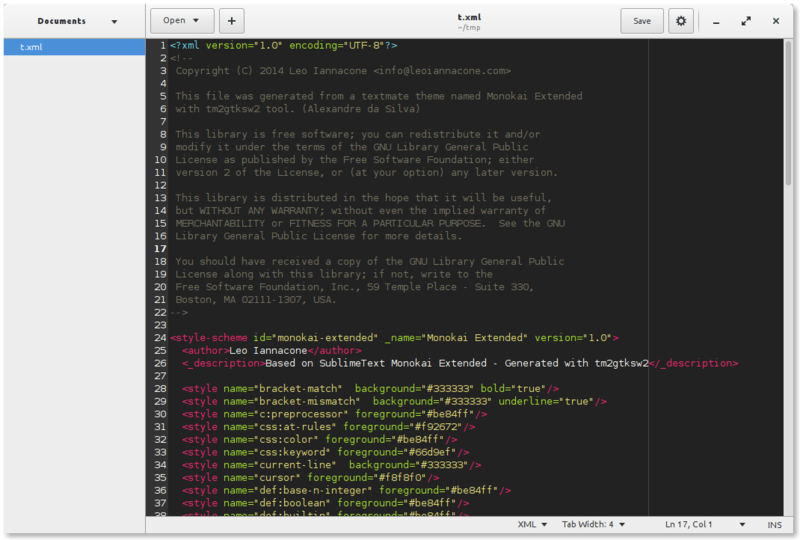 Overall am really like this theme..
Push the plus button at the bottom and select the xml file.